Today we're talking about water adventures. Because of the nature of how these stories are constructed, they are often the most visually stimulating and have the widest range of imagination. There's infinite room for exploration and design as characters plunge into the depths on their respective bodies of water to explore what lies beneath the surface. I'm super excited to share three books with you today that do just that--create whole worlds under the water and help our heroes uncover new worlds. 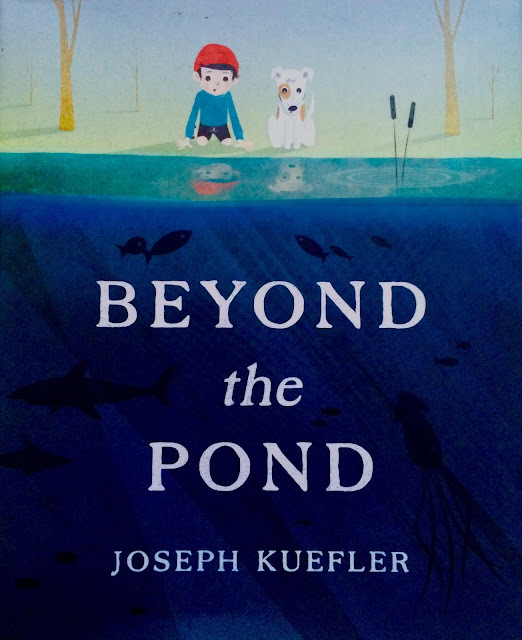 We're going to start with the book that inspired this post, Beyond the Pond by Joseph Kuefler. 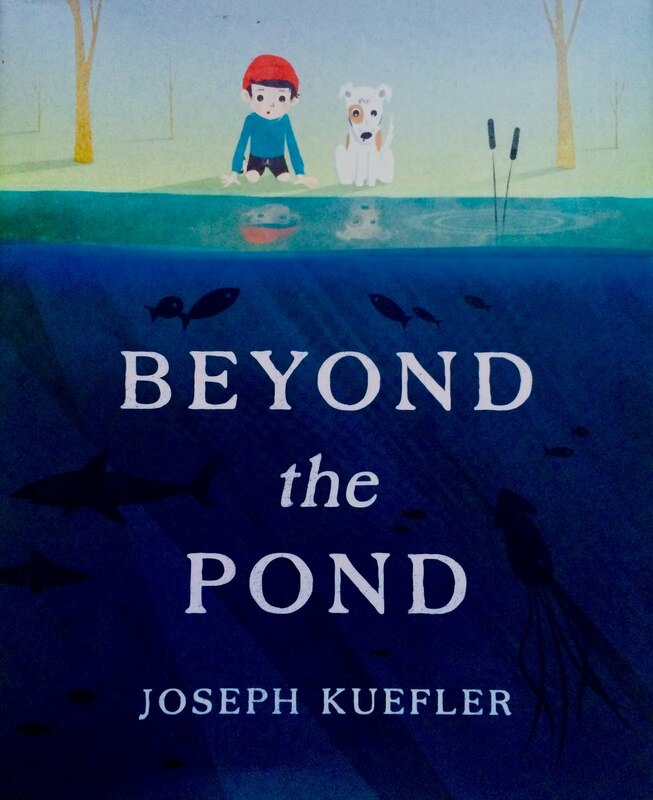 Beyond the Pond tells the story of a boy and his dog who grow bored one day and discover that their local pond has no bottom, creating ample opportunity for the two of them to dive in and explore. Down below they discover all sorts of creatures and treasures, ultimately popping up on the other side to find an entirely new world where they can have fun. 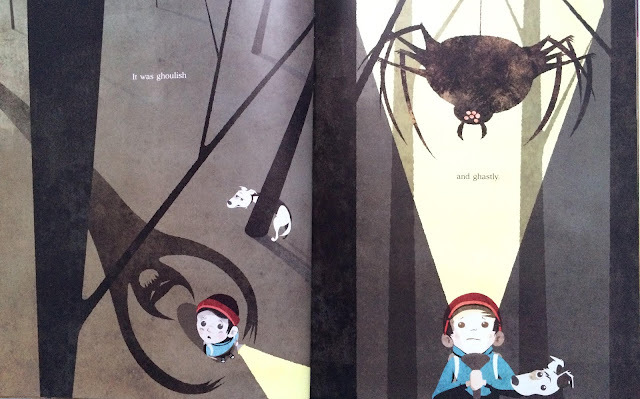 The other side is beautiful and filled with tons of adventure like dragons and impossibly tiny creatures, but it's also filled with oversized spiders and angry giants. Adventure waits behind every corner. However, Ernest knows that he can't stay here forever: will things just be the same when he gets home? Kuefler created his illustrations using a combination of digitally enhanced mixed media and photographed textures. 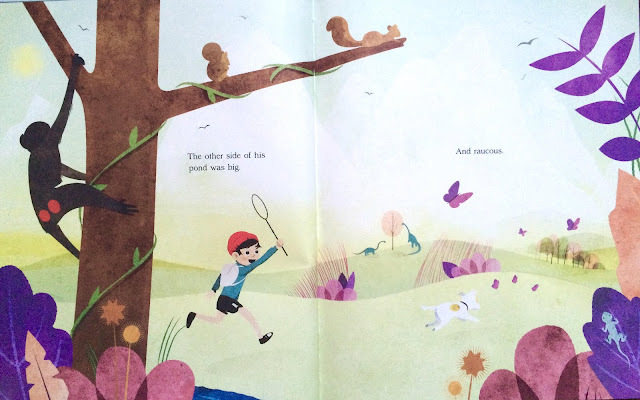 The colors balance each other out well--although the nature of the story calls for mostly blues and greens, Kuefler carefully accents bits of each illustration so that every detail stands out in the end, and the lines are crisp and well-defined throughout. 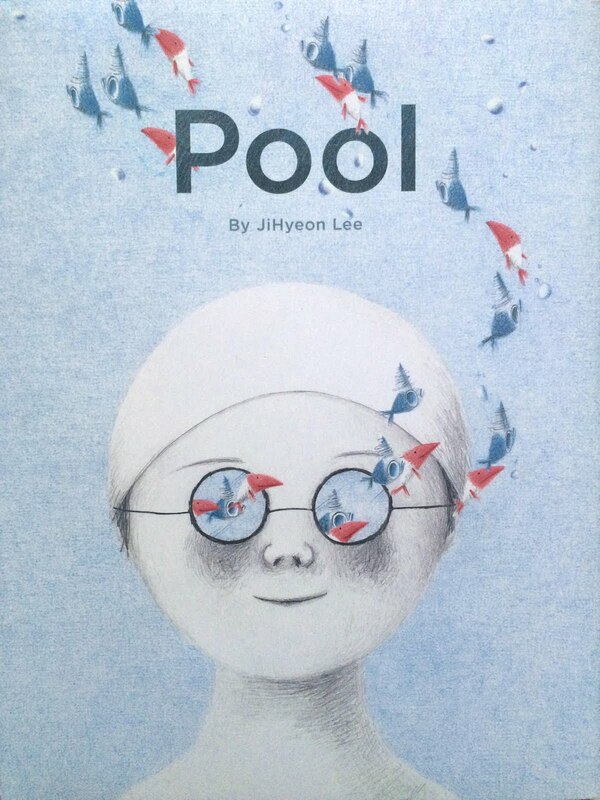 Next up is Pool by JiHyeon Lee. 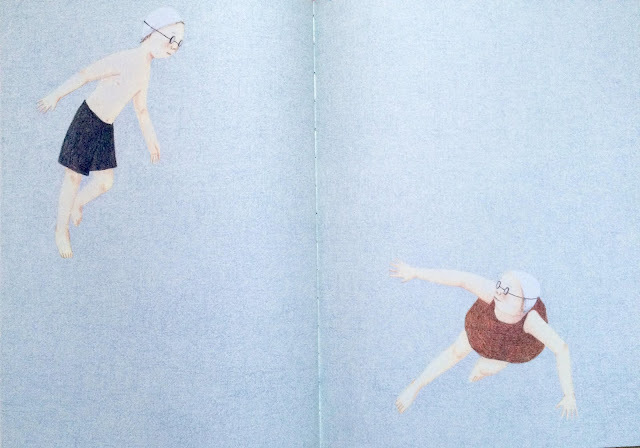 This is another beautiful tale of escapism, recounting the story of a boy who is too shy to interact with the other people at his local pool. 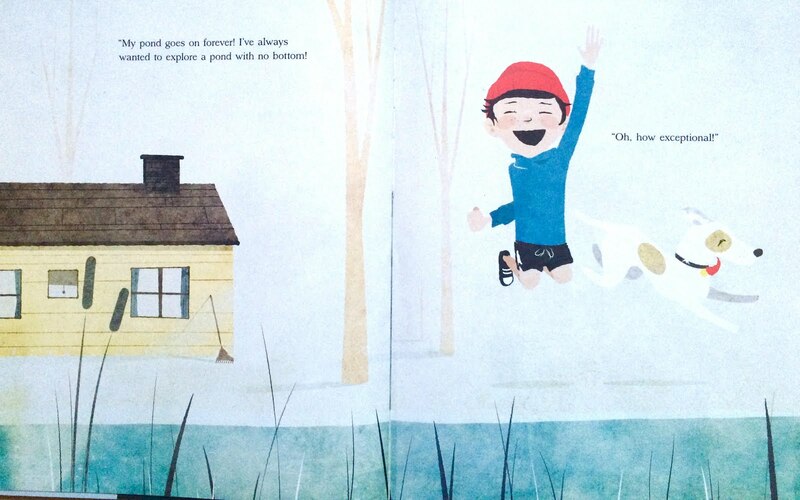 The boy finally bites the bullet and dives in only to find a friend and a whole world of adventure beneath the surface. The illustrations are brilliant: the wordless story starts in black and white, with the only color being the blue from the pool, but once the boy dives in, a new colorful world appears, as well as a colorful friend. 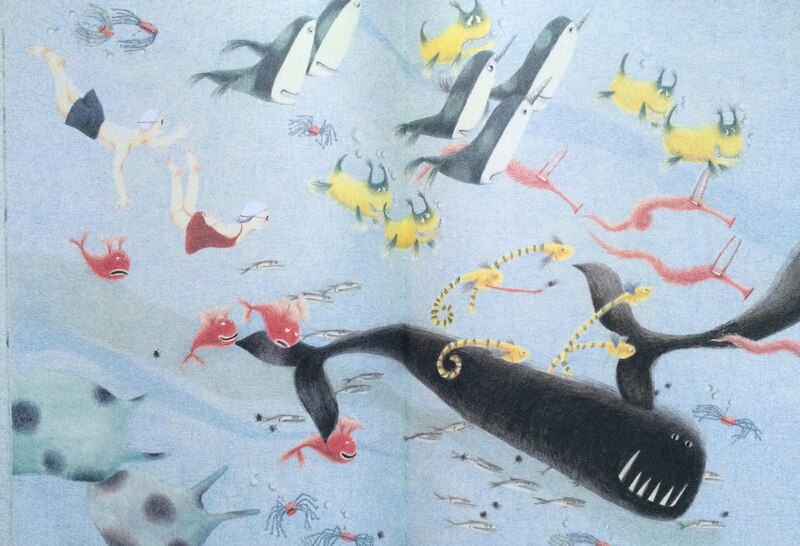 Together the boy and his new companion uncover the mysteries of ocean life and, of course, the power of friendship. The illustrations are very delicate and almost tentative, rendered in colored pencils and oil pastels. The artistic style jives well with the mood of the story as we watch this boy tentatively try to find his place in his new community and find himself in the process. 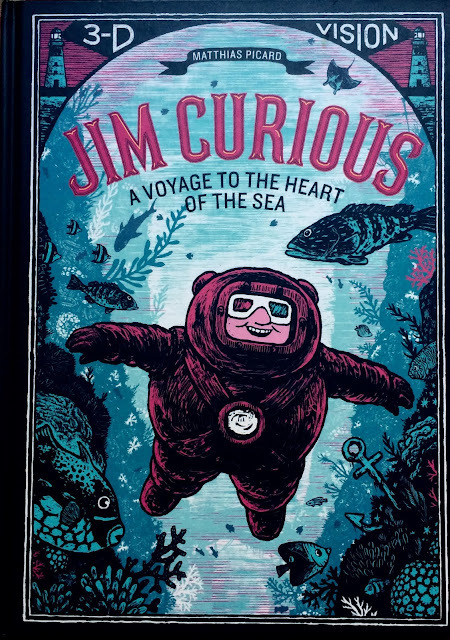 Finally for today, we explore an entirely new kind of ocean with Matthias Picard's Jim Curious: A Voyage to the Heart of the Sea. 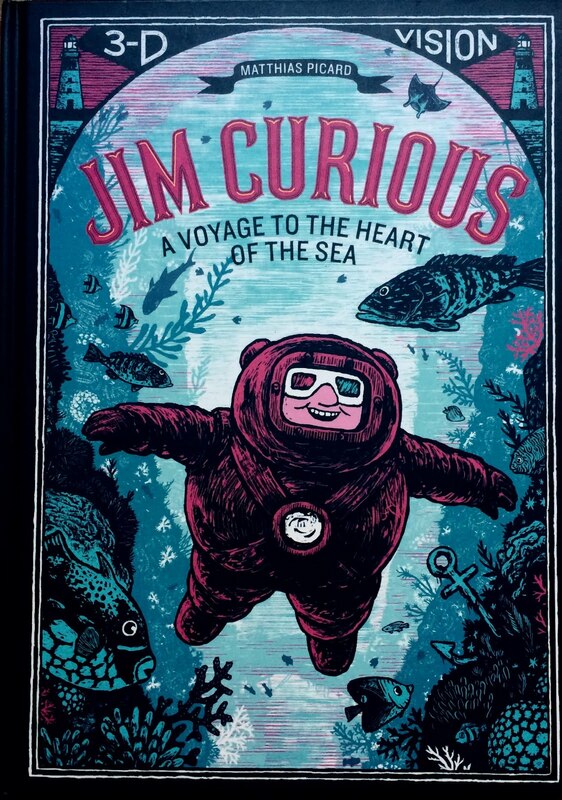 This book is incredible: not only does it tell the adventurous story of Jim Curious and what he finds under the ocean, it does it in 3-D! It's amazing. 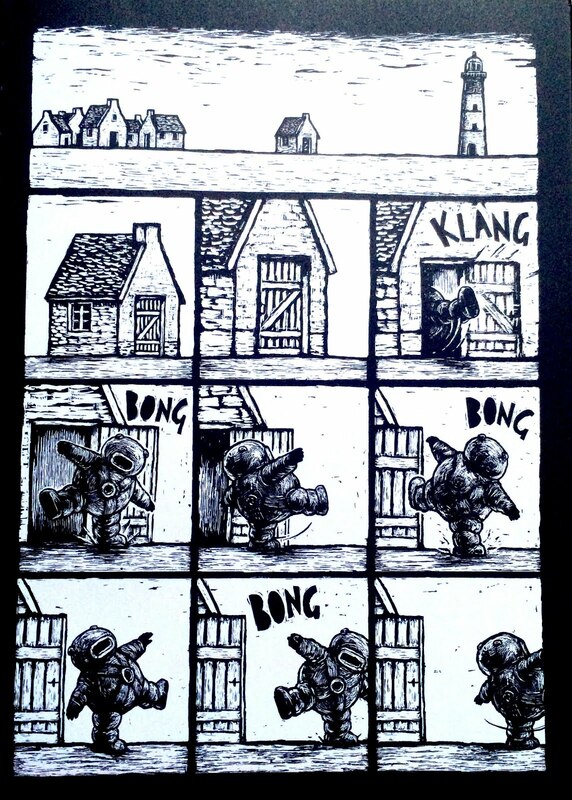 A man bumbles out of his home one morning in his giant scuba gear and plops into the ocean in front of his house. 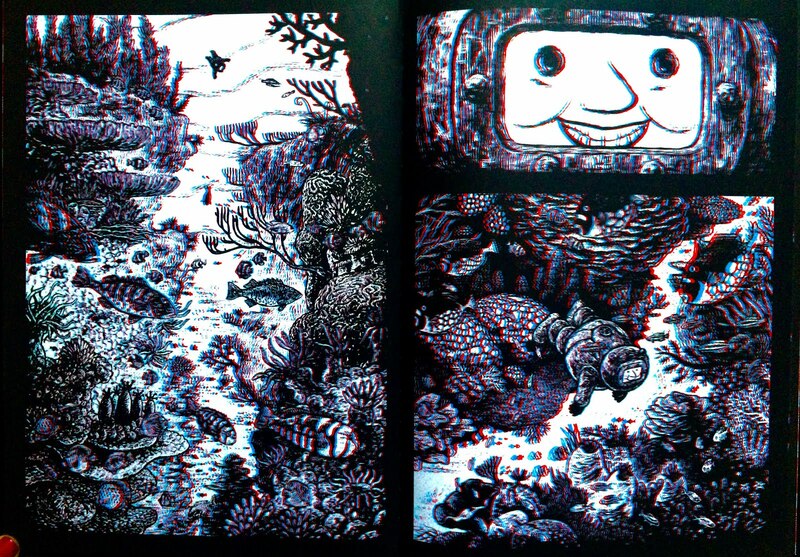 From the moment he's fully submerged he finds a new world and set of adventures. Like Pool, this story is also wordless, so it's up to you and your partner to create your own narrative for each panel, and there's definitely a lot of room for interpretation. The 3-D is a brilliant addition, though I'm happy to say the story carries itself without the added element. The photos below are a bit blurry due to the nature of the images themselves (but I promise if you put on 3-D glasses they'll look awesome!). Thanks for tuning in this week! 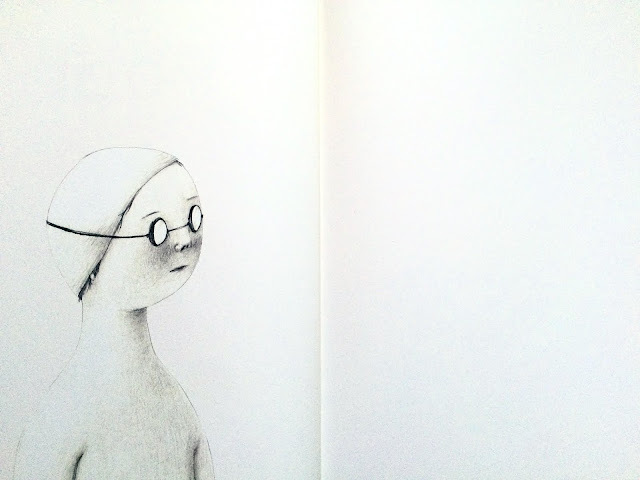 I'm headed to NYC and the MoMa for work so expect some beautiful books for next week's post. As always, follow me on Instagram to see more illustrations from these books and more!